When it comes to reckless money creation, it turns out that China is the king. Over the past five years, Chinese bank assets have grown from about 9 trillion dollars to more than 24 trillion dollars. This has been fueled by the greatest private debt binge that the world has ever seen. According to a recent World Bank report, the level of private domestic debt in China has grown from about 9 trillion dollars in 2008 to more than 23 trillion dollars today. In other words, in just five years the amount of money that has been loaned out by banks in China is roughly equivalent to the amount of debt that the U.S. government has accumulated since the end of the Reagan administration. And Chinese bank assets now absolutely dwarf the assets of the U.S. Federal Reserve, the European Central Bank, the Bank of Japan and the Bank of England combined. You can see an amazing chart which shows this right here. A lot of this “hot money” has been flowing out of China and into U.S. companies, U.S. stocks and U.S. real estate. Unfortunately for China (and for the rest of us), there are lots of signs that the gigantic debt bubble in China is about to burst, and when that does happen the entire world is going to feel the pain. You read that right: in the past five years the total assets on US bank books have risen by a paltry $2.1 trillion while over the same period, Chinese bank assets have exploded by an unprecedented $15.4 trillion hitting a gargantuan CNY147 trillion or an epic $24 trillion – some two and a half times the GDP of China! Putting the rate of change in perspective, while the Fed was actively pumping $85 billion per month into US banks for a total of $1 trillion each year, in just the trailing 12 months ended September 30, Chinese bank assets grew by a mind-blowing $3.6 trillion! So what has China been doing with all of that money? China’s aggressive quest for foreign oil has reached a new milestone, according to records reviewed by Reuters: near monopoly control of crude exports from an OPEC nation, Ecuador. Last November, Marco CalvopiÃ±a, the general manager of Ecuador’s state oil company PetroEcuador, was dispatched to China to help secure $2 billion in financing for his government. Negotiations, which included committing to sell millions of barrels of Ecuador’s oil to Chinese state-run firms through 2020, dragged on for days. At a brand new housing development in Irvine, Calif., some of America’s largest home builders are back at work after a crippling housing crash. Lennar, Pulte, K Hovnanian, Ryland to name a few. It’s a rebirth for U.S. construction, but the customers are largely Chinese. The homes range from the mid-$700,000s to well over $1 million. Cash is king, and there is a seemingly limitless amount. “The price doesn’t matter, 800,000, 1 million, 1.5. If they like it they will purchase it,” said Helen Zhang of Tarbell Realtors. So when you hear that housing prices are “going up”, you might want to double check the numbers. Much of this is being caused by foreign buyers that are gobbling up properties in certain “hot” markets. Chinese conglomerate Fosun International Ltd. (0656.HK) will buy office building One Chase Manhattan Plaza for $725 million, adding to a growing list of property purchases by Chinese buyers in New York city. The Hong Kong-listed firm said it will buy the property from JP Morgan Chase Bank, according to a release on the Hong Kong Stock Exchange website. Chinese firms, in particular local developers, have looked overseas to diversify their property holdings as the economy at home slows. Chinese individuals also have been investing in property abroad amid tight policy measures in the mainland residential market. Earlier this month, Chinese state-owned developer Greenland Holdings Group agreed to buy a 70% stake in an apartment project next to the Barclays Center in Brooklyn, N.Y., in what is the largest commercial-real-estate development in the U.S. to get direct backing from a Chinese firm. Just think about what the Smithfield Foods acquisition alone will mean. Smithfield Foods is the largest pork producer and processor in the world. It has facilities in 26 U.S. states and it employs tens of thousands of Americans. It directly owns 460 farms and has contracts with approximately 2,100 others. But now a Chinese company has bought it for $4.7 billion, and that means that the Chinese will now be the most important employer in dozens of rural communities all over America. For many more examples of how the Chinese are gobbling up companies, real estate and natural resources all over the United States, please see my previous article entitled “Meet Your New Boss: Buying Large Employers Will Enable China To Dominate 1000s Of U.S. Communities“. 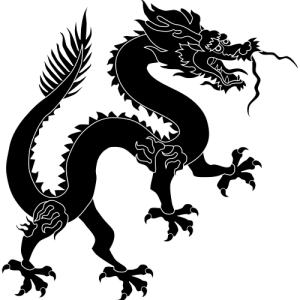 But more than anything else, the Chinese seem particularly interested in acquiring real money. And by that, I mean gold and silver. In recent years, the Chinese have been buying up thousands of tons of gold at very depressed prices. Meanwhile, the western world has been unloading gold at a staggering pace. By the time this is all over, the western world is going to end up bitterly regretting this massive transfer of real wealth. China’s biggest banks are already affected, tripling the amount of bad loans they wrote off in the first half of this year and cleaning up their books ahead of what may be a fresh wave of defaults. Industrial & Commercial Bank of China Ltd. and its four largest competitors expunged 22.1 billion yuan of debt that couldn’t be collected through June, up from 7.65 billion yuan a year earlier, regulatory filings show. Meanwhile, China’s total credit will be pushed to almost 250 percent of gross domestic product by then, almost double the 130 percent of 2008, according to Fitch. The nation might face credit losses of as much as $3 trillion as defaults ensue from the expansion of the past four years, particularly by non-bank lenders such as trusts, exceeding that seen prior to other credit crises, Goldman Sachs Group Inc. estimated in August. Yields on Chinese government debt have soared to their highest levels in nearly nine years amid Beijing’s relentless drive to tighten the monetary spigots in the world’s second-largest economy. The higher yields on government debt have pushed up borrowing costs broadly, creating obstacles for companies and government agencies looking to tap bond markets. Several Chinese development banks, which have mandates to encourage growth through targeted investments, have had to either scale back borrowing plans or postpone bond sales. This could ultimately be a much bigger story than whether or not the Fed decides to “taper” or not. It has been the Chinese that have been the greatest source of fresh liquidity since the last financial crisis, and now it appears that source of liquidity is tightening up. 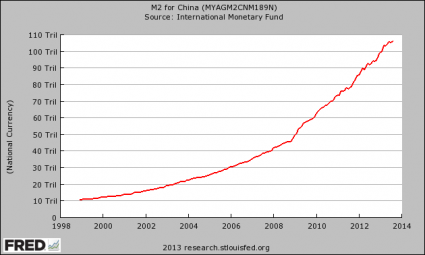 So as the flow of “hot money” out of China starts to slow down, what is that going to mean for the rest of the planet? And when you consider this in conjunction with the fact that China has just announced that it is going to stop stockpiling U.S. dollars, it becomes clear that we have reached a major turning point in the financial world. 2014 is shaping up to be a very interesting year, and nobody is quite sure what is going to happen next.